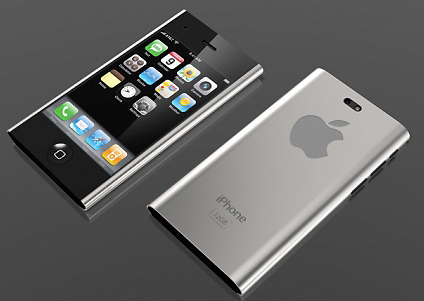 Here comes another; news with interesting information about the iPhone 5, and its announcement. According to the report of BGR that has a good track on breaking the Apple related news. The site claims that next generation iPhone which was rumored to be hardware updated version of iPhone 4, will not only an updated version but also comes up with major changes in the current iPhone especially in design case. No further details mentioned in the report, about the iPhone 5 specifications and design case, the news also confirms some sense of the recent report which claims that iPhone 5 will be a major update with complete new design by This is My Next. BGR report also claims that Apple will announce iPhone 5 in August anytime, with release of few weeks later, it is also reported by some source that Apple will break its tradition of iPod dedicated event and will convert it to the iPhone launch event, well this time it is not clear what Apple will do, may be they will hold an event in the last week of August and then in the September for iPod. Most recent rumor suggests that Apple to ship iPhone 5 with iOS 5, means Apple cutting the scene of iOS 4.x.x on iPhone 5.